During Royal Caribbean's third quarter 2017 financial call with investors, the company shared some interesting anecdotes, facts, and insight into the ever changing cruising environment. While most of the information discussed in these earnings calls deal primarily with financial indicators, cruise guests can glean some insight into how Royal Caribbean runs its business. Royal Caribbean Chairman and CEO Richard Fain took a few minutes to talk about the response the company has noticed from the general public, when it comes to major events like a hurricane disrupting the flow and life of the islands visited, and the cruise itineraries planned. "We've noticed a significant change in the way people in general seem to respond to unusual events, whether those events are weather, geo-political acts, or something else. Years ago, a bad incident would have a bad and lasting impact. Whenever something happened, our bookings would fall and they would stay down for an extended period. People seemed to curl up in a ball and obsess about whatever the issue was. It could, and did impact bookings, for a really long time. Even after the event left the front page, people would persist in focusing on it. Eventually, they would move on and bookings would recover, but that process seemed to take forever. More recently, we have seen a much more sanguine response. Instead of the incident lingering for a long time, the recovery seems much quicker. People seemed to be more apt today to see such events as ordinary, with little impact. The events still aren't normal, but they are seen as less relevant to the broader audience. In effect, the public appears to become inured to such one off events. They are still interested in the event, and concerned about it, but people seem to continue living their lives with less change. They move on. From a societal point of view, I have to say that it's discouraging that we've reached such a point. It's distressing that incidents are now so common, that society seems to have formed a thicker skin towards them. On the other hand, as a response to the actual events, it's probably more constructive if society doesn't allow such things to interfere with our normal day-to-day existence. From a purely commercial point of view, this cultural shift is very helpful. It's much better for us if the negative impact of such incidents are so much more fleeting than in the past. " Over the last couple of years, Royal Caribbean Chairman and CEO Richard Fain has been fond of noting a cultural shift among consumers, where they are tending to prefer buying experiences over buying things. In the past, consumers seemed to be focused on buying things like new televisions, appliances, or other items of the like. More recently, Mr. Fain believes the focus has shifted to people looking for experiences, especially ones that include the whole family. This shift has made Royal Caribbean change as well, to meet the needs and habits of consumers. "Over the years, as people's habits and tastes, we've shifted our product to take advantage of these new consumer buying practices. For example, in the 1970s and 1980s, there was a dramatic shift in the way ships were designed and built. Instead of ships being designed as a form of transportation, we shifted to ships that were designed specifically for cruising. Our aspirations at the time were for ships to be more yacht-like. Now, that change really brought cruising into the modern era. But in the '80s and '90s, there was another change in people's expectations. The public's vacation desires changed, and we needed to shift with them. We shifted our design focus from trying to be yacht-like, to be more like hotels. We started to design ships with more spacious public areas, better outfitting, and more amenities onboard. We wanted the ships to feel more open, to have more things to do and to have a more luxurious feel of a modern hotel. Our design metaphor changed from trying to seem like a yacht, to feeling more like a full service hotel. Again, that fit in nicely with trends in consumer interests, and it resulted in better sales. Now, over the last decade or so, travel habits have further changed and our ship designs have shifted yet again. Consumers now want a more active vacation, a more things to do and to experience. In response, we changed our design metaphor, from trying to be like hotels to be more like cities. Today, our ships have more features of cities, with a cornucopia of activities, amenity, and design. We don't simply check the box with bars and restaurants and discos, we talk about designing parks, and gardens, and neighborhoods and quiet spaces. We model our medical facilities on urgent care facilities. Our specialty restaurants compare to anything you will find on land. We have every stripe of nightlife, you can sail with us for seven nights and never experiencing the same things twice. And again, adjusting our products to suit the changing wishes of the consumer has paid off in a very nice way. 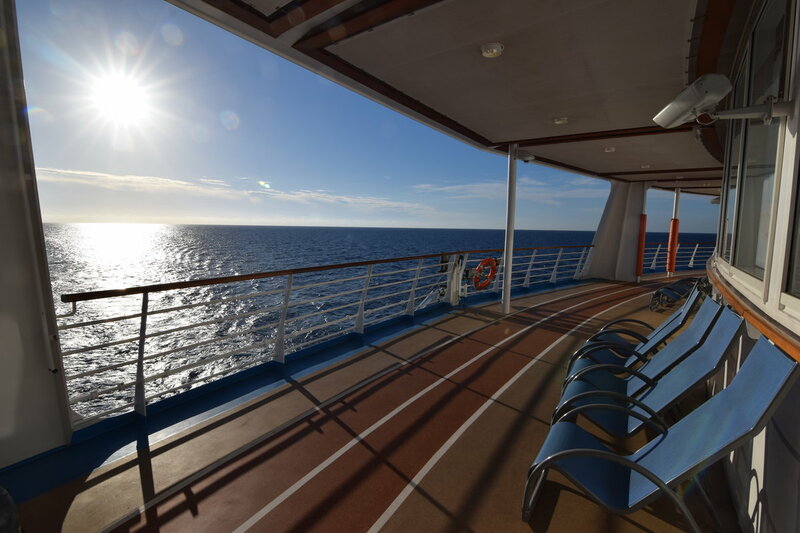 Our guests really enjoy the broader choice and amenities that the new ships offer. And again, accommodating these wishes has resulted in improved demand for our product. " One of the "battles" that Royal Caribbean (and the cruising industry) has faced over the years have been old stereotypes about what a cruise experience is all about. It has been a stumbling point for the cruise industry, but Mr. Fain believes things are changing now and consumers are far more educated than ever. "Many consumers thought of cruising through the lens of outdated stereotypes. We in the industry often complained about the inaccuracies of such misconceptions and our marketing was geared to correct the image. This sense of not being properly understood pervaded our industry, and profoundly influenced all of our communications. But then, a strange thing happened. The evolution of consumer's changing tastes, and of our changing product, converged. The prevalence of these old, erroneous perceptions has waned. In effect, we have won the perception war. We have crossed a tipping point, and moving beyond it. Yes, there are still many people out there who suffer from these old misperceptions, but their numbers are dwindling everyday. Today, while this issue remains an issue at the margin, cruising has now firmly established itself as a relevant and a desirable vacation option for consumers generally." With the shift in consumers looking for experiences instead of products, and the news that particularly higher guest spending on shore excursions and internet packages, an investor asked if Royal Caribbean was going to rethink its allocation of retail space onboard their cruise ships. Royal Caribbean International CEO Michael Bayley spoke to this question, "When we talk about the two programs, Celebrity Revolution and Royal Amplified, really a lot of thinking going into that is really thinking through how our guest spend is changing. You will start to see that when we bring these ships out of the moderinzation programs that we have really reallocated space to generate better revenues in areas that we see guests now naturally gravitating towards." When asked about new to cruise guests, and millennial demand, Royal Caribbean CEO Michael Bayley talked about the reversal in fortunes the cruise line has seen over the last few years, "In fact, if you go back before that three year period, we were actually in a situation where year over year we saw a decline in new to cruise and millennial. Over the past three years, we've seen a very good increase year over year. That's very much part of our marketing and communication focus on new to cruise and millennial, and we are seeing good progress." Royal Caribbean Cruises Ltd Chief Financial Officer, Jason Liberty, provided a bit more feedback on what those numbers look like, "Over the past several years, we are carrying about 30-33% more millennials than we did several years ago."